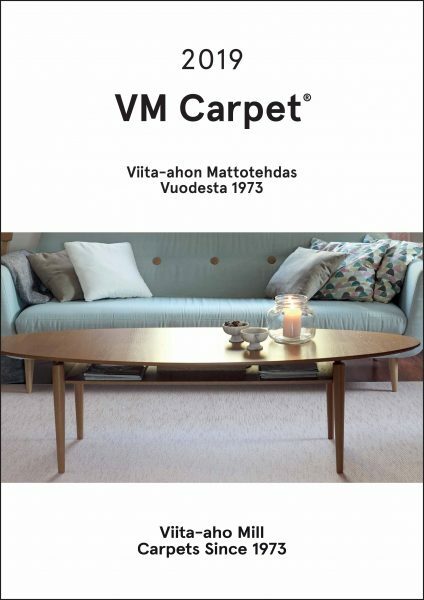 VM-Carpet's rugs are made of the best materials in the world. They withstand time and use very well. Most of VM Carpet rugs are made of natural fibres, such as wool, cotton and paper yarn. Paper yarn has been used as raw material at VM-Carpet for more than 20 years. The paper yarn is also folded and dyed at VM-Carpet’s factory in Lappajärvi. Synthetic rugs are made of polypropylene and polyamide. Their advantage is lack of dust and tolerance of heavy use. In addition, we use combination fibres, such as bamboo and polyamide compounds, as well as Smart Strand fibres, which combine natural materials with synthetic fibres. These fibres are more environmentally friendly compared to traditional artificial fibre, and they often have plenty of other good features, such as pleasant feel. Cotton is the most common natural fibre. It is a soft fibre, which is obtained from the seed fluff of cotton plants that grow as bushes. The cotton fibre is almost entirely made of cellulose. Cotton is used in yarns and fabrics. Approximately 45 percent of all textile fibres are cotton. The features of cotton include breathability, good moisture absorption and a pleasant feel, as well as the fact that it decomposes, it is durable when wet and it has a good washing durability, as is the case with all natural fibres. Cotton rarely causes allergic reactions. If it is cared for well, a cotton textile will last for a long time. The cotton yarn used in the cotton-paper yarn rugs manufactured by VM-Carpet is made of 80% recycled cotton and 20% polyester. The weft that is used is either as a thread or the yarn is knitted with a special hollow weft. The hollow weft that is knitted with thin cotton yarn gives the rug volume and softness. It also brings liveliness to the surface of the rug, because during the weaving phase the weft is able to twist freely. Wool is a textile fibre obtained from sheep. Wool fibres are made up of keratin, molecule chains created from approximately one hundred proteins with different molecular structures. Thus, wool is a protein, i.e. the same substance as human nails and hair. The best features of wool include warmness and moisture absorption. The curliness of the wool fibre and the air layer it binds within it make wool a good insulation material. As a rug material, wool is excellent due to its thermal insulation capacities and because it repels dirt and moisture due to its natural grease. Wool is also highly flame resistant and it extinguishes by itself. New Zealand’s pure, new felted wool is used in VM-Carpet’s rugs. A rug that is made of felted wool is particularly soft and doesn’t shed wool fibre. Paper yarn is a genuine natural material, which is made of an ecologically produced renewable natural resource, wood. The fibres of pine and spruce make the yarn strong and durable. Paper is both hygienic and safe. Due to its dense fibre structure, paper yarn does not collect dust or dirt, which is an important feature for people with dust allergies. Paper yarn has been used as a material in VM-Carpet’s rugs since the beginning of the 1990s. The use of paper yarn, as a textile material in Finland, roots back to WWII, when the import of cotton was almost completely suspended. Materials to replace it were sought after, in which respect Finland was self-sufficient. One was wood, which was used to develop various replacement materials. The textile industry began to produce e.g. rugs out of paper yarn. After the war, the availability of materials was easier and the use of paper yarn in textiles was forgotten for a few decades, until at the end of the 1980s the unique features of paper yarn were rediscovered and the material was yet again utilised in the rug industry. The paper yarn used by VM-Carpet comes from Sweden or USA, either as brown or white shredded paper, which is rolled into a dense paper yarn. It is then spun dyed in its own dye house and rolled in to ready-to-use paper yarn. Polyamide is used as material in rugs, particularly in locations that require high durability. Polyamide is a durable, light and flexible material, which is easy to dye. cated products. At VM-Carpet, they are based, cut in to rugs and, if necessary, they are edged. Many new polyamide rugs have a pleasant soft feel. Homes have different sizes and the standard sized rug is not always the best fit in your interior decoration. Did you know that VM Carpet can provide rugs according to your own measurements. The maximum width is four meters and the length can vary up to 30 m. Besides custom sizes custom shapes are also possible. The custom sizes are possible thanks to the unique EVAPOLYTEX backing of VM Carpet. It makes the rugs un-slippery, solid and flexible. The backing doesn’t contain latex and doesn’t stain the floors either. It is odorless and suits all floor surfaces – also those with radiant heating. Choose preferably a rug big enough. In the living room it is advisable that the rug extends under the front legs of the sofa. Under the dining table the rug should be 60 cm wider than the table on each side. You can order custom sizes in the PRODUCTS section when placing a rug order. Just select “Custom size” and enter the size of the rug you want in the menu. Rugs with a backing come with EVA or EVAPOLYTEX backing, which keeps the shape of the rug and prevents it from sliding under the foot. EVA is short for ethylene, vinyl and acetate. The same material is also used in food industry packaging and in the soles of jogging shoes, for example. This backing method has been chosen in cooperation with the Technical Research Centre of Finland, VTT Chemical Technology. EVA backing is done by spreading melt EVA onto the bottom surface of the rug. When using EVAPOLYTEX backing, felt cloth is first attached to the rug bottom by using hot-melt EVA and EVA powder is scattered on the felt. The powder is melted in infra-red oven making the rug un-slippery. EVAPOLYTEX makes the rug slightly more flexible, softer and denser compared with EVA. The backing is odourless and does not stain the floor. It is OK also with floor heating. The backing does not generate dust or crumble. When your rug arrives at its new home, read the care instructions and keep them for future reference. You can also find rug-specific instructions on the rug’s page on our website. The majority of the rugs can be washed with water. The stains come off most easily if you treat and remove them right away. Do not fold up a rug with a backing. When you roll up a rug for cleaning or storing, roll it with the backing in. Wash the rug gently in cold water with mild detergent and soft brush. Do not soak or rub. Rinse carefully with plenty of water. Extract the excess water. Shape the damp carpet with care. Air dry flat. All shaggy rugs from VM-Carpet have been tested with a robotic vacuum cleaner with excellent results. Snow cleaning is another handy way to clean and freshen up your rugs. Cool down the rug, then lay it out in the snow, shovel clean snow on top and rub the snow against the rug. Repeat the treatment a couple of times and then let it dry in a place with proper ventilation and plenty of air. Let the rug dry out in a horizontal position. VM-Carpet aims at minimum environmental impact. We strive to use crop pieces in our operations and use the rest for energy in Mustasaari, Vaasa. The electrical energy that we use in our company is climate neutral water power. 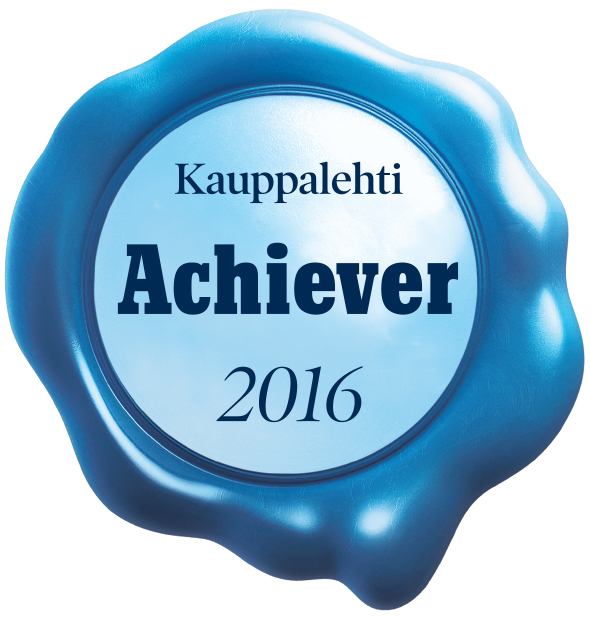 Almost all of our rugs have the Finnish Key Flag Symbol, which demonstrates that the product has been manufactured in Finland. 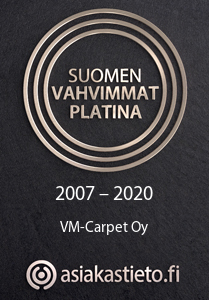 The credit rating company Suomen Asiakastieto has awarded VM-Carpet the Strongest in Finland certificate. The certification is visible proof of the company’s creditworthiness, reliability and excellent solvency. The products are carefully made from the best materials. According to our survey conducted in autumn 2017, customer satisfaction concerning customer service was 4,45 and the brand and image perception 4,25 on a scale of 1 – 5.